The Weatherby Mark V rifle features a fully adjustable LXX trigger, a carbon fiber stock design and guaranteed SUB-MOA accuracy. It has a new look. A new feel. And a brand new level of performance! Exceptional quality and exacting attention to detail make the Mark V a custom quality rifle without the custom made rifle price! 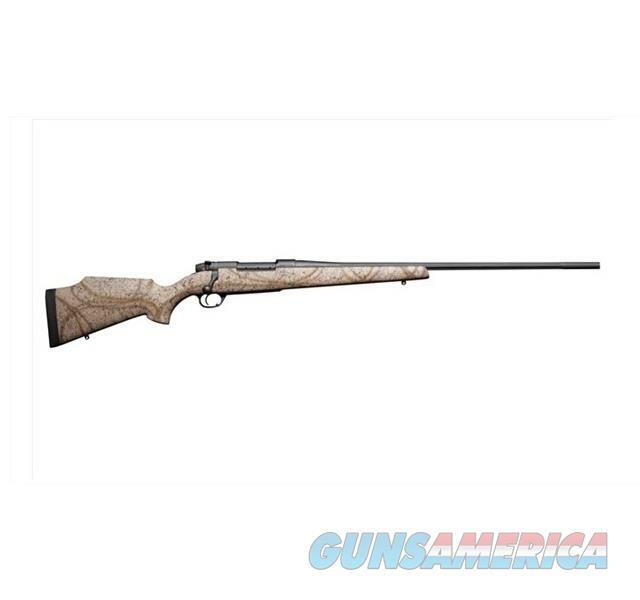 Shoot the Weatherby Mark V and you never want to shoot anything else! Range Certified rifles are hand picked and test fired at the factory to ensure that you receive only the highest quality rifle. The end result of this process is a rifle with a factory shot target signed by Ed or Adam Weatherby certifying the rifle passed the most rigorous accuracy test's with flying colors. Furthermore the hinged floorplate of the rifle will sport the Range Certified engraving for all to admire.